The ANZCA Annual Scientific Meeting brought together about 2,000 anaesthetists this year. That’s a lot by any standard. It was held in beautiful Brisbane and the museum took the opportunity to launch a few new projects. Top of the agenda was the new online exhibition called Restoring the Apparently Dead: The search for effective resuscitation techniques. We had a lot of fun with the design elements for this one, it ranged from 1950s horror film through to the much more elegant design we’ve ended up with. The exhibition looks at the various methods of attempting to resuscitate the “apparently dead” throughout the ages. Some are downright ridiculous, and others make perfect sense today, although all were working with the highest level of knowledge available to them at the time. All early attempts at resuscitation were responses to observed phenomena. When a person died, there was an immediate loss of body heat. Warm coals, heated water or dried animal dung were placed on the person’s abdomen in the hope that restoring body heat would restore life. Sure, it’s odd now, but it has its own kind of logic. One of the interesting things to come out of the research was that 15th Century midwives were already using mouth-to-mouth resuscitation on newborn babies. However, it was considered vulgar and inelegant and didn’t make it into mainstream medical practice until well into the 20th Century, despite a brief reintroduction in the 18th Century. So, thanks to Royal Life Saving Society Australia, much appreciated that you went to so much trouble to work out whether or not it was a truly effective method of resuscitation. In case you’re wondering, it is. Other interesting techniques included using subcutaneous champagne for treating surgical shock, strychnine and attempts to use milk to replace blood for transfusions. Surprisingly, the milk thing didn’t really work. This year, ANZCA celebrates 25 years of existence. So, as part of the celebrations, we also launched a new version of the Lives of the Fellows project, Lives of the Fellows: 1992. This project looks at the professional lives and contributions of the inaugural ANZCA Council. 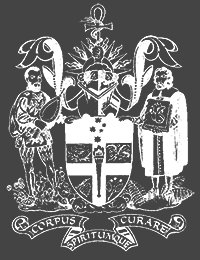 A small group of 12 men, most of whom were also members of the last Board of the Faculty of Anaesthetists at the Royal Australasian College of Surgeons, and worked to achieve the separation of the Faculty and formation of the College. The ASM is a perfect time for launches, so we took the opportunity to also launch a new oral history. Dr Peter Livingstone was the last Dean of the Faculty of Anaesthetists, and became the first President of ANZCA. Dr Livingstone is interviewed by Prof David A Scott, the current President of ANZCA, which gives a nice synergy. As well as discussing some major ANZCA events, Dr Livingstone recounts a number of aspects of his clinical career. Keep an eye out over the coming months, there’s a lot more coming.